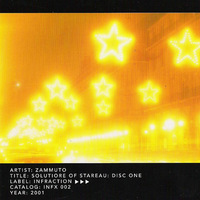 This disc one is a quiet atmospheric minimal soundscape. Distant radio waves floating in the night, warm drones rising and falling, punctured by a faint yet insistant pulsing rhythm. Deep listening in which surface variation is so subtle - getting lost in the recording for hours is almost inevitable if you give it the time. Time well spent.